A glorious retreat set near the beautiful Sussex village of Robertsbridge, Poppinghole is a farm, spa and self-catering holiday complex all rolled into one. It features equestrian facilities, spa treatments, a swimming pool, farming experiences, walks and much more. Robertsbridge is a characterful village in rural East Sussex. Poppinghole Farm is set down a country lane, but good road and rail links to the south coast and London are close by. The area is well stocked with family days out whatever the weather. 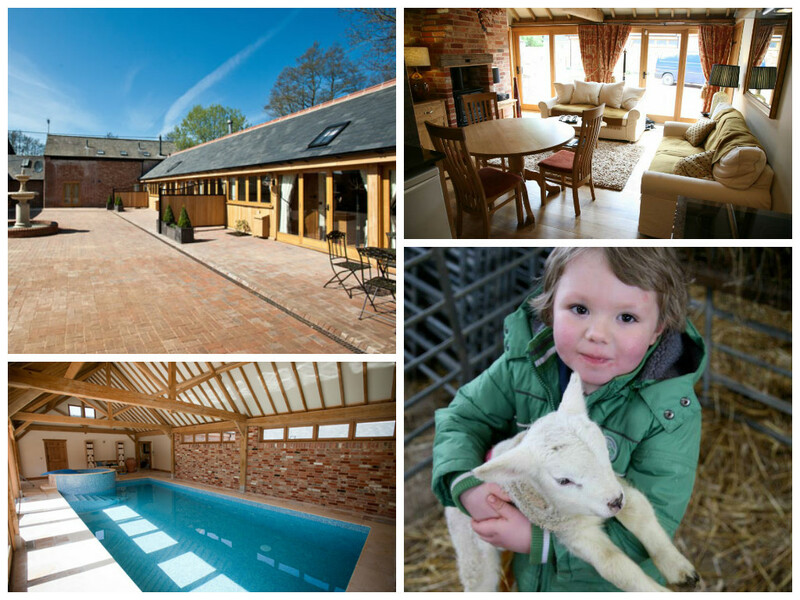 Poppinghole Farm offers a high standard of accommodation, fashioned from the historic buildings on the site. The accommodation ranges from 1 to 2 bedroom properties, all tastefully kitted out. All the cottages have an open plan lounge and kitchen, vaulted ceilings and oak beams throughout, and log burners can be found in each cottage for those cosy winter evenings. An example of the price for a two bedroom cottage off peak is £820, rising to £1035 during high season. Equestrian and farming experiences are available, with rare breed livestock and stabling on site. There’s even a chance to get involved in lambing during Spring. The heated indoor swimming pool uses an oxygenated system to keep itself clean rather than chlorine, and is heated to a balmy 32 degrees. Outdoor games are on offer in the grounds including badminton, football and jenga. Walking routes are available from the site and from further afield. There’s wonderful towns, castles and abbeys to explore in the vicinity, as well as the Sussex coast only a short drive away. Upon arrival you’re greeted with a welcoming hamper, with the option of ordering further produce from the local farm shop. The farm also produces hampers with locally sourced products, which can be created to your specification. 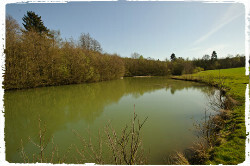 There are two fishing lakes to escape to for parents craving some piscene privacy. 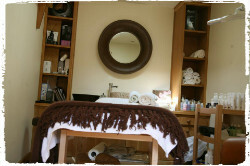 Pampering sessions abound in the Spa, with the choice of beauty and relaxation treatments. There’s even a jacuzzi and plunge pool to dip in to. On a practical note there’s a communal laundry room to help you manage those all too familiar piles of dirty children’s clothes, and cots and high chairs are available on request. There are many walks from the farm – a 15 minute walk takes you to a local pub, or for the more discerning a 40 minute walk can take you to a fantastic local pub with great food on offer. 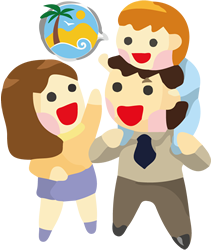 This site offers a range of options to entertain children and adults alike. It is ideally situated in an area that offers families oodles of activities and days out. To the north, London is only a 90 minute train ride and to the south, the wonderful Sussex coastline. In our opinion this farm is a great mixture of fun for the kids and relaxation for the adults whilst offering opportunities to explore a fantastic corner of England. 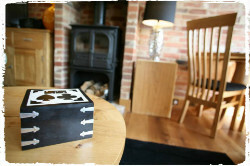 “Poppinghole Farm is situated in an area of outstanding natural beauty at the heart of the Sussex countryside. It is close to many historic towns, castles and buildings, seaside resorts, glorious gardens and is within easy reach of London. If you’d like to find out more about family friendly holidays at Poppinghole Farm, including booking and availability enquiries, just fill out the form below.